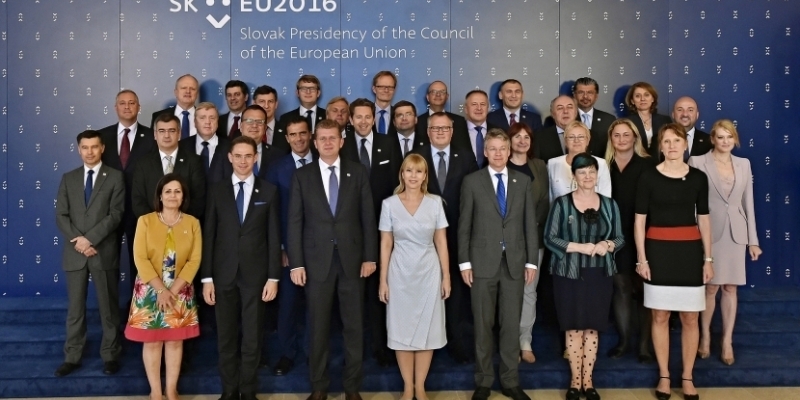 An informal meeting of ministers of the 28 European Union member states and EFTA countries responsible for competitiveness will take place on 17 and 18 July in Bratislava. A key theme of the informal meeting, which will be led by Minister for the Economy Peter Žiga, is the modernisation of European industry through innovation and the deployment of intelligent and clean technologies. Not only modernisation of the main industrial and service sectors but also the introduction of advanced production methods, core technologies and innovative business models in traditional industries is essential for the future competitiveness of EU industry. Particularly important is the active involvement of the whole innovation ecosystem to promote the competitiveness of industry and to connect existing initiatives and tools. A press conference will be held after the meeting on July 18, 2016 at 2.35 p.m. in the Press Centre, Reduta, Námestie E. Suchoňa 1 in Bratislava. Minister for the Economy Peter Žiga and Commissioner Elżbieta Bieńkowska will both attend the press conference.